This pdf is 26 pages long, 1 page front cover, 1 page editorial, 1 page SRD, 1 page advertisement, leaving us with 22 pages of content, so let’s take a look! One of the things that galled me most about 3.X was the lack of support for all those cool 3pp-options out there – you find this cool new class and no one EVER supported it. Now Rite Publishing has for some time been at the spearhead of 3pp-collaborations with e.g. “101 Renegade Class Feats” and the collaborations in Pathways that include Owen K.C. Stephens from Super Genius Games, Creighton Broadhurst’s (mastermind of Raging Swan Press) monthly contributions, articles by the Adventureaweek.com-crew etc. Not to speak of e.g. LPJr Design’s take on psionics in NeoExodus, the support of the Machinesmith-class by SGG, Alluria Publishing’s stellar undersea psionics-book that should be a must buy for anyone owning Psionics Unleashed or the support of the bestselling spell-less ranger by SGG. Other players like Jon Brazer Enterprises have supported other 3pp-classes in their Shadowsfall-books and this now is the latest supplement that springs from a community of sharing and support, bringing us new archetypes for some of the finest classes out there, but can they hold up to their excellent base-classes? let’s check this out! The pdf kicks off with new fodder for SGG’s Armiger, arguably the tank-class to go to for PFRPG, with an archetype that at first feels absurd – the Divine Upholder gets no proficiency in medium or heavy armors. Yes, a tank in light armour. Get that. However, the divine Upholder offsets this by being surrounded by guardian spirits and they also use their shields to determine touch AC in addition to dex and learn a limited array of spell-like abilities over the levels (namely sanctuary, holy shield, shield other and martyr’s bargain) and may opt to learn to channel energy via armiger talents or learn to use their spirits to hamper sneak attacks, crits and even entangle foes. They also sacrifice their armoured DR for resistance bonuses to saves and at higher levels even send rays back on the casters that threw them. All in all, a more mobile, divinely inspired shepherd-style sacred warrior that I can see work oh-so-well in my campaign. Two thumbs up! The second Armiger-archetype is the Juggernaut and if you’re familiar with the Marvel villain, you know what this is about: It’s about waltzing over your foes! Gaining increased bull rush and overrun capabilities, the juggernauts cover their allies when charging through their spaces (a neat ability) and use their level as BAB for combat manoeuvres instead of the lesser progression of the standard armiger. Better yet, the 4 new armiger talents juggernauts gain access to allow them to deal e.g. spiked armour or shield damage when using their crushing combat manoeuvres and may also rather impressively improve their grappling prowess. I can see characters wincing when the heavily armoured colossus comes for them – spellcasters will dread these guys and I love ’em. Next up are 3 archetypes for a class that is very popular, but completely, utterly, totally not something I’d ever want to see in my game: SGG’s Dragon Rider. Yes, the class per se is well-balanced and works just fine, but the concept is just something I personally could never really get behind. That being said, my animosity will not fracture into the final verdict and I’ll base my verdict on the merits of these archetypes. Without further ado: The Drakker makes this class work for me. Yes. There. I said it. I hate the dragonrider and even I have to take a bow to the Drakker-archetype. Why? Because it essentially allows you to play a reincarnated dragon that is stuck in a petty mortal shell – the archetype uses the base classes mechanics to instead change into draconic form. This is pure awesomeness and so incredibly cool, especially since the archetype is so concisely worded that it’s actually not as hard to use in-game as you would think. Glorious! The Mythographer archetype is closer to the base-class and the archetype is much less complex – the archetype lets you play a kind of chronicler of your dragon’s deeds. While their focus with their steed is slower than the regular dragon rider’s, they get access to the bard’s spell-list and grant competence bonuses to steed and allies when focusing. Okay, but nothing to write home about. Skalwyns are another relatively simple archetype, they get access to the paladin’s spell-list, an aura of good and can serve as shock-troops of good. Rite Publishing’s Divine Channeler is a stellar divine caster-class and the Iconist, who can scribe scrolls in the form of carvings, religious calligraphy etc. Their icons may also channel the energy-types granted by their domains, making the archetype interesting for me mostly due to liking the fluff – after all, we all know about religious icons, statues weeping blood etc. pp. and being able to play a person who can inspire others by their works is cool. If you don’t get the appeal of religious imagery and the awe it can inspire, even in guys like me, make a trip to Rome and visit St. Paul’s. Even to me as a not particularly religious guy, the effect was mind-boggling. Now add true magic and there we go! The Galdiator-class from 4 Winds Fantasy Gaming’s “Paths to Power” also is supported via the new Crackerjack-archetype – these guys are not the stars of the arena, but rather of the underworld, the back alleys and may gain access to minor gunslinging and devastating grappling, making them ideal as secret agents of the underworld or intimidating enforcers. Cool! The Godling-classes by Super Genius Games have seen quite a bit of support, which is definitely cool – but here we get 3 new archetypes suitable for all types of godlings. The first being the godslayer, who has the aim of slaying the god of his/her line – they can suspend clergy powers, gain hp when saving versus divine spells and may as a capstone either be reborn as full-fledged mortals or challenge their deity and usurp their divine throne. So damn cool! Soulgivers are godlings with blood that inherits the spark of creation, allowing them to have a clockwork/or toy familiar that is animated by their lifespark as well as gaining the ability to infuse object with life and, even cooler, making spells ooze-like beings that wobble around and may serve as allies, dealing their damage over the rounds: The idea is that the ooze only does minimum damage and vanishes once its maximum array of damage points have been dealt. Offers some nice tactical options and is iconic – I approve! They may also heal allies and even keep the souls of the recently dead from departing, but at a cost to her own body. The third godling archetype is something for fans of nature-based characters, counting as a druid for purpose of animal companions gained via the animal lineage domain and gaining access to the beast master ascendancy (with 4 steps). Okay, though not as awesome as the first two. If you don’t get an increased companion, you may instead opt for a divine trait o scion talent. Rite Publishing’s Luckbringer is one of my favourite 3pp-classes out there and thus, I’m glad to see two new archetypes for it: The first is a variant of the Black Cat Burglar archetype centred on gaining the dirty trick-feat tree and which can use moments of chance to force rerolls of natural 1s and 20s by using a ranged, enhanced dirty trick maneuver. As an improbable option, she may opt to deny AoOs and use cha instead of str for dirty tricks. As an highly improbable option, she may opt to use dirty tricks to grant her allies an AoO at penalty versus her target. The second archetype, the White Rabbit, can cause rerolls of d20s of nearby allies even without being aware of them, grant allies a +2 bonus to a d20 roll as part of an attack and even alternatively allow them to spend the bonus to regain 1 ability pool point à la motes of time, ki, etc. Per se a cool archetype, were it not for one problem: What about classes with multiple pools like the Time Thief/Warden? Can the ability be used to replenish aevum as well? I wager not, but I’m not sure. What about rounds of rage or rounds of bardic performances? My gut tells me, they should also be able to exchange the bonus for one more round, but I’m not sure… This archetype NEEDS clarification. Now the extremely cool shapeshifting-class Taskshaper gets a new archetype called Doppelgänger, who may use his moments of change to get access to racial traits they witnessed and exchange them for others, using the ARG-point mechanics. They may also emulate proficiencies they see in action by mirroring other combatants, which is extremely cool – remember all those creepy “evil mirror image”-opponents in gaming? Yeah – be one of them! Also gain a genetic pool to keep certain racial traits and may imprint feats and even class abilities when impersonating others and may even crudely reproduce spells via an ability shift. While in no way an easy archetype to master (as it modifies an already very complex class), the doppelgänger is a cool and rather intriguing concept that could also be used by DMs to scavenge abilities for any kind of shapeshifter o give them a further edge. Cool! Another 3pp-class that should grace the virtual shelf of just about any group would be LPJr Design’s Machinesmith and we get two new archetypes for this cool class – the first beiing the Cypher, a cryptography-expert that has to take the analyzer greatwork and gets expanded spell-selection and increased antimagic-capabilities. The second archetype is much more complex, the Toymaker. Obviously inspired by a certain Superman-villain, this variant of the machinesmith gets a mobius puppet and later more of these simultaneously: Speaking of these puppets – we get a total of 13 ranging from analysing droids to friendly exploding puppets and tiny versions of the machinesmith to two-faced cherubs with knives, nurses that may administer first aid (or drain foes, inject poisons etc.) and mini voodoo dolls. Better yet, each puppet gets two greatworks upgrades, with e.g. Mr Teddy gaining the ability to turn into a real grizzly! A glorious, glorious archetype! The next one we get is one for TPK Games acclaimed Malefactor-class and is called Destineer – though there’s a typo in here (strafe-point instead of strife), the archetype is interesting indeed in that it offers the option to spend said points on creatures attacked to temporarily cling misfortune to them – especially cool for ranged builds. At higher levels, they also can make failing doubly painful by gaining tokens of broken destiny: Everytime an opponent fails a number of throws, the destineer gains one such token up to a maximum of wis-mod and they may spend these to add luck penalties to foes. They may also entangle foes, hamper teamwork feats and hamper language or spellcasting – though the latter ability mentions a will-save, but not how to calculate said save – I assume 10 + 1/2 class level + wis-mod, but I’m not sure. The coolest feature, though, in my book, would be that they gain limited access to temporal talents and moments of chance by the Time Thief and Luckbringer-class respectively. 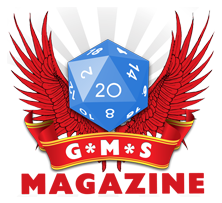 And before you start complaining – the rules are on d20pfsrd, if you don’t own the two files. The final new archetype is the Nechronomancer for the Time Thief-class, who perceive the world as moving too fast and thus seek to steal other people’s time and life for themselves. The archetype definitely lends a sinister pall to the class, which is cool and comes with 3 temporal talents (one of which can actually be used to offset age penalties – great for old characters and a superb storytelling device) and 3 aevums that allow them to e.g. atrophy limbs and deal negative levels on foes. Sinister and a rather cool class, especially for more evil-inclined characters. Editing and formatting unfortunately are not up to the usually high standard of RiP – I noticed e.g. multiple uses of “strafe points” instead of strife points, underlines where none should be and some other minor glitches, that, while not that bad, detract a bit from this pdf’s quality. Layout adheres to RiP’s 2-column standard in full colour and the artworks are ones you’ll probably have seen before. The pdf is fully bookmarked. This is the first solo-offering of Benjamin Rombeaut and it is glorious: These archetypes (and I’ve reviewed a few so far) are almost universally brilliant, teem with iconic ideas and offer options galore for some of the finest classes out there. In the case of the Drakker, it redeemed a whole class for me! Yes. It’s that good. HOWEVER, I also feel that this could have used another pass at editing – we have here a saving throw that is not mentioned on how it’s supposed to be calculated, there an ambiguity with regards to pool-access etc. These problems need and should be addressed – especially since this is otherwise a collection of SUPERB, innovative, cool and complex archetypes for classes that can really use them. In fact, they are that good that I will still slap my seal of approval on this pdf – but until they’ve been eliminated, I can’t go higher than 4 stars + seal of approval on this. I still encourage you wholeheartedly to check this out, though – these archetypes are brilliant!